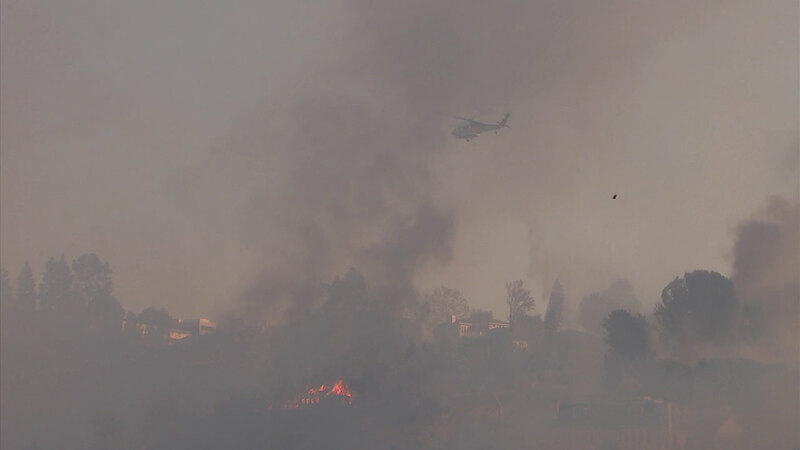 BEL AIR, LOS ANGELES (KABC) -- The Skirball Fire in the Bel Air area is now 75 percent contained, Los Angeles Fire Department officials said Saturday. The acreage of the fire was also updated from 475 to 421 acres, according to fire officials. It broke out along the 405 Freeway near the Getty Center early Wednesday morning. The flames destroyed six homes and damaged 12 others. Some evacuees were allowed to go back home Thursday night, but some evacuation orders were still in place in the north side of the 1000 block of Linda Flora Drive and south of 1894 Linda Flora Drive.